I should just say that I was really looking forward to this movie. I think the first Amazing Spider-Man was very good and I’d have to watch the Raimi Spider-Man 2 to really say which one I liked more. It got the feel of the character down and had an incredibly talented group of actors. 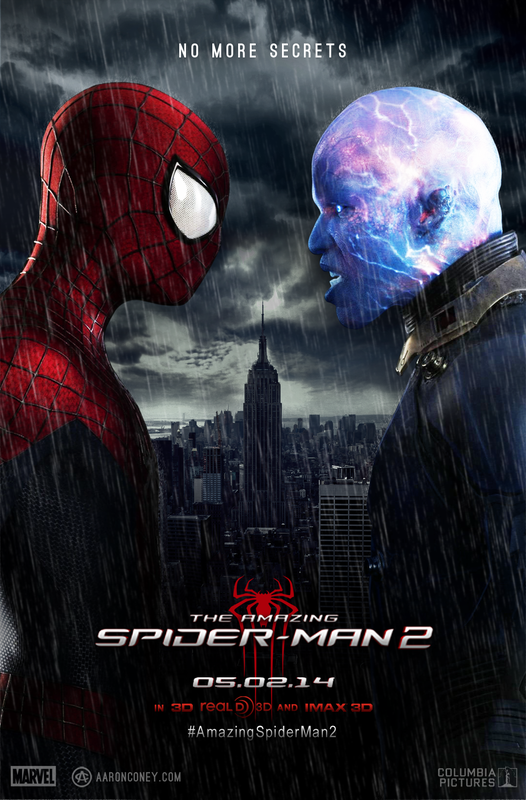 Seeing that the casting remained top-notch and trusting in Marc Webb from the first film; I was wasn’t going to knee-jerk react to the trailers with cries of “Too many villains!” and “It’s going to be just like Spider-Man 3!”. Thankfully, it is definitely not as bad as Spider-Man 3. Unfortunately, it definitely ended up falling far short of what it could have been. The movie follows three big storylines, all of them dealing with how Peter becoming Spider-Man affects the relationships of people around him. The first and most obvious is his relationship with Gwen Stacy. The second is his relationship with apparent childhood friend Harry Osborn. The third is the relationship Max Dillon/Electro ends up creating with Spider-Man. I feel like this last one is the most interesting since it is one that explores the impact of what happens after the hero saves someone. It shows a villain that comes not because of greed or anger or revenge but because they are just a little broken and they can’t quite have that connection with others that they want so badly. Jamie Foxx really gets to explore this side and the scene of him in Times Square confronting Spider-Man for the first time is one of my favorite moments in a comic book movie. Unfortunately the other two storylines have some serious problems. The Peter/Gwen scenes are wonderful and Emma Stone and Andrew Garfield have great chemistry on screen. That being said, the scenes tended to either drag on or seem to be mostly filler. The real problem story, though, was that of Peter and Harry. Dane DeHaan is a fine actor but most of his plot seemed to be either rushed or confused and frankly fell flat most of the time. There were some good scenes with him, especially the first one of him and Peter, but his transformation into the Green Goblin ended up feeling extremely forced and tacked on. It felt like that and the Rhino appearance at the end where all just trying to set up for later movies but made this movie much weaker for it. The action in the film is top notch. We get to see Spidey using his web-shooters in more ways than just swinging and they really feel like a part of the character’s movement. Electro’s power usage was visually interesting and it’s always good to see specifically Spider-Man fighting against an opponent that just outclasses him in terms of power. The writing would definitely be the weakest point in this. In addition to the plot stuff mentioned, there are some real horrible one-liners that get thrown around. Also, you get an actor like Paul Giamatti to be in your film and they end up making him just be the goofiest, Russian mob caricature possible such that basically any third rate character actor could have been in the role. I hate to see a waste of a good actor like that. Overall, I did like the movie even though it certainly had some pretty serious weak points to it. The good tended to be more plentiful and overshadowed the bad enough that I never actively disliked watching the movie. I’d give the movie a 3 out of 5 and think it definitely could have been at least a 4 if they had a decent editor and the patience to not rush directly toward the next movie.